Fountains. I am a fan. I always find myself taking a break to relax, unwind, and enjoy the cityscape around fountains. Big, small, historic, or just simply communal – fountains inspire and energize. When in Mexico City, I worked as a consultant for Banamex. 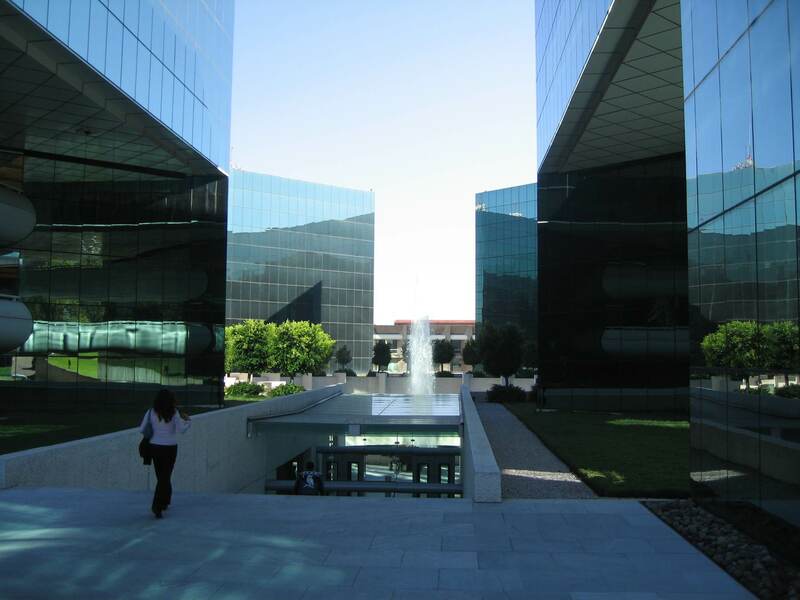 And when I think of my favorite spots in Mexico City – the fountain at Banamex’s offices in Santa Fe would make my list. Every morning I walked down stairs, passed through security and stopped at the fountain. Call it my moment of ‘Zen.’ And actually any time I needed a break, I took a walk to the fountain. Stressful situations at work seemed to disappear when feeling the the mist of the water. Somehow, a perspective gained watching the water spray. Visitors to Mexico City can’t access the fountain. In fact, some days access seemed difficult for me even though I worked in the building (security). 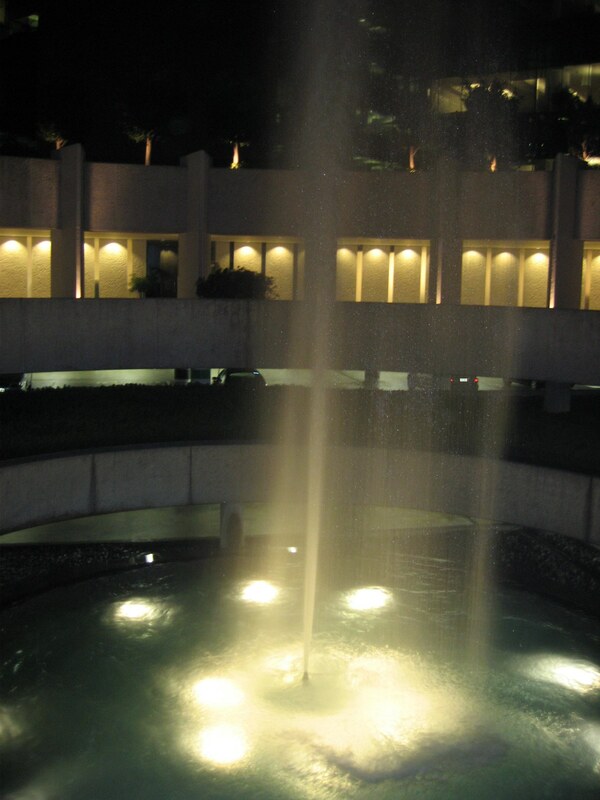 But my visits, those moments by the Banamex fountain, will always remain some of my special moments of my days in DF. Days I cherish. I am also a fountain fan. I know totally commercial, but have you watched the fountains in front of the Bellagio Hotel in Las Vegas? Quite the sight and actally brought tears to my eyes. I found out this week that the designer of that fountain is connected in some way to cirque du soleil.. makes sense, it’s fabulous. Yes, watched the show a few times. Very enjoyable. Agree not surprised cirque de soleil is involved….And if you ever go (or return) to Barcelona, definitely watch the fountain show there. – my favourite. It may just receive one line in guidebooks (I’m not sure its exact locale) but absolutely fabulous.